“The new app will make it possible to turn your phone to the building and see and hear all of the information about that place,” a municipality spokesman told the Cyprus Mail. Buildings and places of interest will include the archaeological park in Kato Paphos, the Tomb of the Kings, all sorts pf places in Paphos centre such as the town hall’ library and schools, the Markideio Theatre and Ibrahim’s Khan. On Wednesday, Paphos Mayor Phedonas Phedonos signed a contract with Pyramind Services Ltd for the creation of a digital tourism, culture and entrepreneurship platform, as well as augmented reality and e-democracy application, totaling €122,570. The mayor said that using such apps the municipality offers a great way of using technology directly into the hands of 1.7 million tourists that visit Paphos every year, and not only for foreign tourists, but also for local residents to get to know the area. 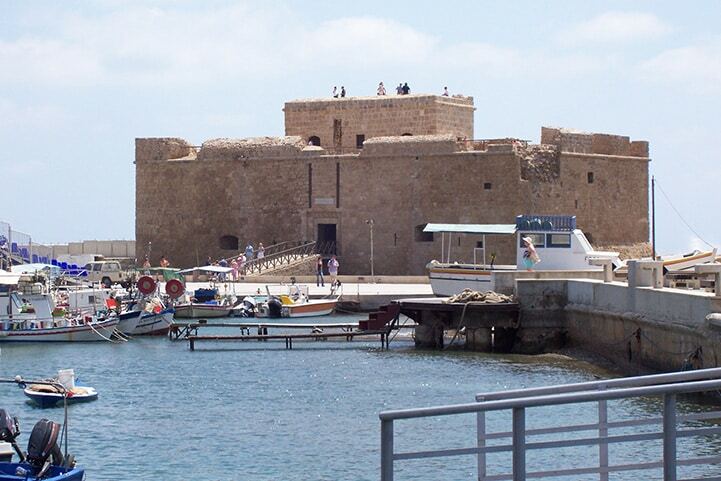 “While it makes our town more friendly to visitors, Paphos is also entering the new digital age,” he said. The platform for tourism, culture, and entrepreneurship will include all points of tourist and cultural interest in Paphos as well as information on business and the natural environment. Both the digital platform and the applications are implemented within the Smart Cities project and will be ready for use within six months. Within the framework of this programme, the competition for the procurement and installation of Wi-FI hotspots and touch screens in the town to which the platform will be connected will be announced shortly. The Smart Cities project is being implemented within the framework of the INTERREG V-A Cross-Border Cooperation Programme: Greece-Cyprus 2014-2020 and Paphos Municipality is a lead partner. Partners are also the municipalities of Chania and Lesbos.